How long has this been on my 'to buy' list? Too long. Korres is a brand that has always intrigued me, (yes that may be down to their packaging..) but I've never given any of their products a go, until now. It took me a while deciding which flavour/colour lip butter to go for, but in the end I settled for the Mango. I love orange tinted lip products, as I think they help to brighten up my whole face. However, I'm not too keen on orange-toned lipsticks, as I find the effect is ruined when the colour is too strong. This lip butter offers a very subtle tint, (the perfect amount of orange-ness, just enough to add that hint of orange to my natural lip colour) whilst being extremely nourishing, and smelling so fruity! Mango is one of my favourite scents, and this does not disappoint! If I remember correctly, I have this Lip Butter mixed with Soap & Glory's Gloss Stick in Nudist on in my sidebar picture. I'm excited to give some of the other ones a whirl now that I know the formula is a win, have you ever tried any of these before? If so I'd love to know which ones you recommend! Its been on my list too, ever since I tried Pomegranate! That turns a bit too pinky on me so I hope Mango would stay coral? :-) I don't find them very moisturising but for the subtle tint I am ready to over look that! Pomegranate was my second choice! ;) Mango is quite a corally colour, yes. I was worried it would be too pinky but thankfully not! 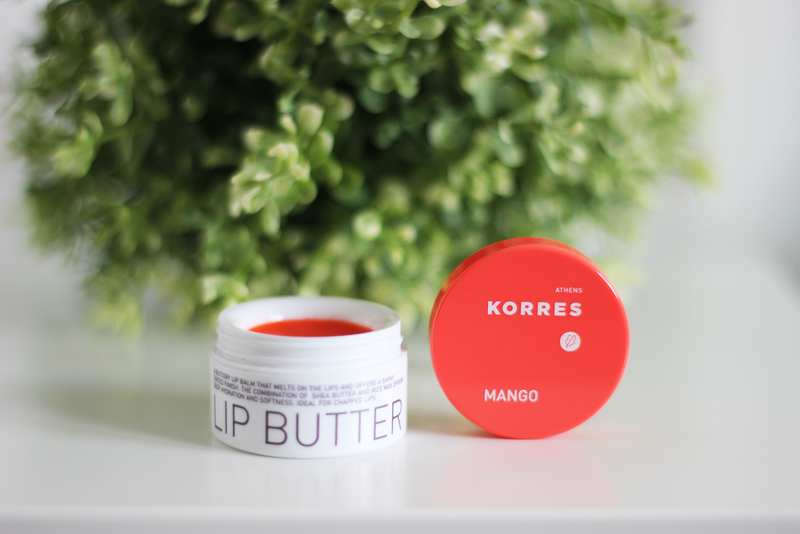 Korres is a brand I've always wanted to try but am yet to get round to purchasing something. Their moisturisers are their products that intrigue me the most, but I agree with you it's probably mostly to do with their packaging! Aaahh can I smell it soon please? :D and I know what you mean, you don't really want to get it stuck under your nails, especially as it's tinted! I'll add that to my 'to buy' list! I really want to try this product :) I love your blog and I have followed you with Bloglovin. If you ever get a chance to check out my blog I would be delighted, thanks! Ahh orange definitely does brighten up the face! I find it works great on both pale and tanned skin! This sounds liek a must-have lipbalm. I'll defnitely try it out as soon as I move to the UK as unfortunately they aren't available here in Bulgaria. I have been wanting to try one of these lip butters for so long, mainly due to the packaging! It would look so perfect on my bedside table.